Are you an Instagram addict? Are you always thinking about how your latest road trip shot or selfie will fit into your Instagram theme? You’ll get no judgment from us — we can totally relate! If Instagram is your jam, and you want to take steps to grow your following, develop your theme, and build engagement, one of the first steps you should take is to create an Instagram business account. Business accounts are perfect for freelancers, artists, bloggers, designers, and influencers, and they’re super easy to set up. Here’s a complete guide to help you start your Instagram business account. What is a business account on Instagram? On the surface, an Instagram business account looks a lot like a personal profile. Photos and videos will still show up in your feed the same way they do for personal accounts. The main difference is that you’ll have access to additional features that are useful for growing an engaged following: detailed analytics, ad targeting, and a contact button so potential customers can get in touch with you. These intuitive tools work for companies of all sizes, and also for regular people who want to grow their personal brand. What’s the cost of an Instagram business account? Setting up an Instagram business account is completely free. Once your account is up and running, you’ll have the option to create ads and promote your posts, which can cost as much or as little as your budget will allow. You can set an ad budget on Instagram, or you can run your business account without ever spending a penny on ads. Running a business account on Instagram will likely mean taking and editing a lot of photos, creating lots of similar-looking shots. 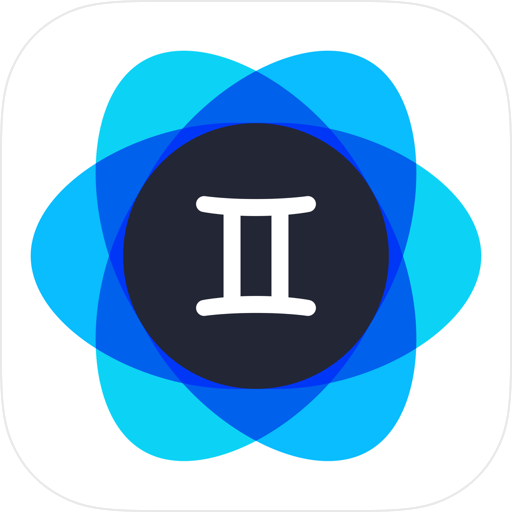 With an iPhone app like Gemini Photos, you’ll easily find and clean up that photo clutter. 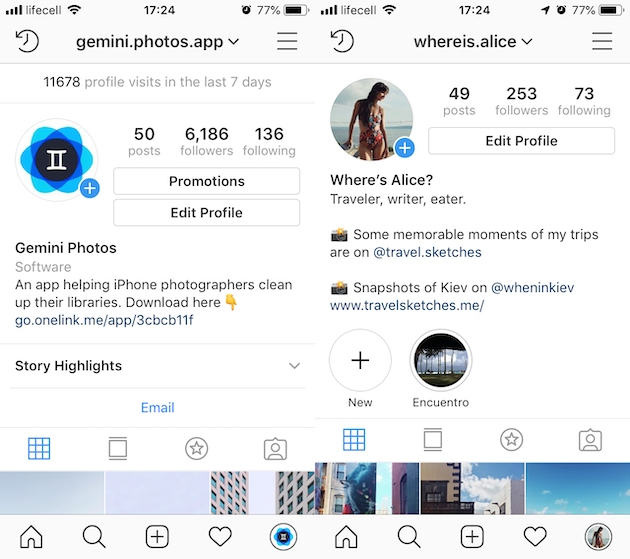 Do you need both a business account and a personal account on Instagram? Should you switch from one to the other? Let’s take a closer look at business and personal Instagram accounts, so you can decide which one is right for you. How are Instagram business and personal accounts different? While the accounts are similar in many ways, the differences come down to your intent. A personal Instagram account is for you to connect with friends and followers around a common interest. It’s about sharing and engaging with your Instagram community. A business account, on the other hand, is for a business to connect with potential customers. If you’re a blogger, that may mean encouraging your followers to read your content. If you’re a wedding photographer, it may mean securing clients. Analytics, advertising, and other business features make all those goals easier to accomplish. You can’t have a business account set to private. If you do not want a public profile, you should stick with a personal Instagram account. You can’t advertise with a personal account. If you want to pay to get your content in front of more eyeballs, you should use a business account. You can add links to your stories on an Instagram business account. If you have a minimum of 10,000 followers, you can ask your viewers to swipe up on your stories and visit whatever link you choose. With a personal Instagram account, you can only add one clickable link to your profile. With an Instagram business account, you have access to analytics. With Instagram analytics, you can find out the best time to post, top locations of your engaged followers, how many people have viewed your post, and more. Personal accounts don’t have access to that information. Can you have both a business and a personal account? Can’t decide between one or the other? You can definitely have both a personal and a business Instagram account. 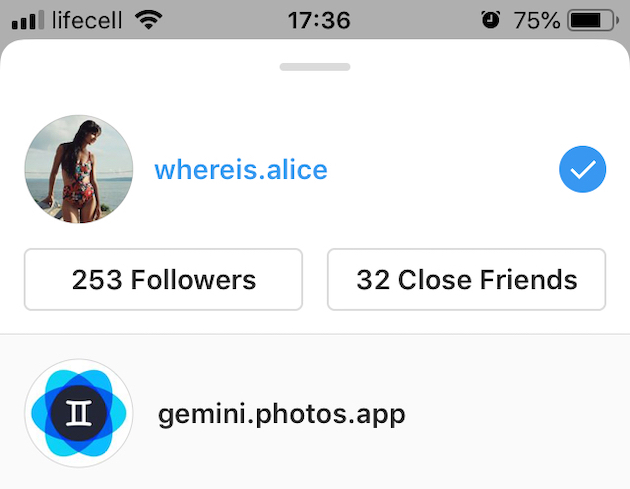 You can even connect them both in your Instagram app and easily switch between them. Read on to find out how. Can you see who views your Instagram business account? 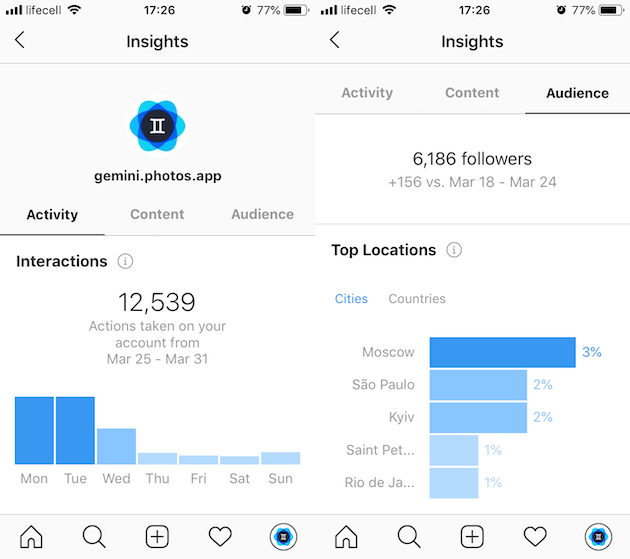 While you can’t see the individual people who view your Instagram account, you can see detailed analytics about when your viewers are on Instagram and where they’re coming from. Analytics will also help you figure out when the best time of day is to post, target the right audience, and uses hashtags strategically. 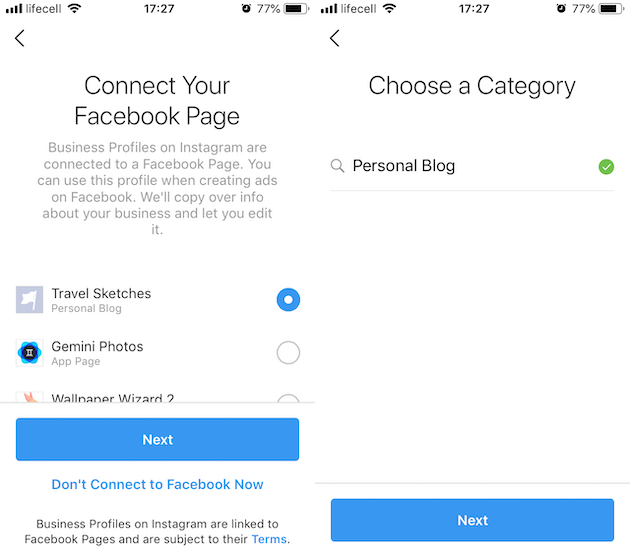 It’s easy to create a business account on Instagram. If you’re creating an account from scratch, you will have to download the Instagram app onto your phone or tablet first. Here’s a step-by-step guide to setting up your Instagram business account in just a few minutes. Open the Instagram app and create your account. You can use your Facebook profile or sign up with a username and an email address or phone number. Your username will be your Instagram handle, so try and use the name of your business if it’s available. Switch to a business profile. When you sign up for an Instagram account, it will be a personal profile by default. Tap the three horizontal lines in the top right-hand corner of your profile. Tap Settings > Account > Switch to Business Account. Connect your Facebook page. Instagram will ask permission to manage your Facebook pages. If you logged in with your Facebook profile and already have a Facebook page connected to your account, it will show up automatically. Select the page and tap Next to connect the two accounts. If you didn’t originally log in with Facebook, Instagram will ask you to log in with your Facebook credentials to connect the two accounts. Select the category for your page. Available categories include Artist, Personal Blog, Local Business, and others. The category you choose will be visible on your profile. Add your contact info. If you signed up with a phone or an email, Instagram will suggest that as your contact info. But you can also use a different way for people to contact you by tapping Change contact options. The options include email, phone, and address. When you’re ready, tap Done. If you don’t have a Facebook page, you can skip step 3 by tapping Don’t Connect to Facebook Now. Just keep in mind that you won’t be able to run ads without it. How do I change my Instagram account to a business account? Tap the menu icon in the top right-hand corner. Go to Settings > Account > Switch to Business Account. Follow the on-screen instructions to connect your Facebook page or tap Don’t Connect to Facebook now. Choose a category for your page (e.g., Personal Blog or Local Business) and tap Next. Add a business email and tap Done. By default, your Instagram profile, photo, and link will remain the same as it was with your personal profile. If you want to keep your business and personal Instagram accounts separate, you can do that, too. This is especially important if you post a lot of photos of family and friends on your personal account. Your business account should focus more on trying to connect with your followers. Log into your current Instagram account and navigate to your profile. Tap the three horizontal lines in the top right corner. If you created your personal account through Facebook, it will show up here. You can’t use Facebook to create your second account. Tap Sign Up With Phone or Email and enter a different phone or email address from the one that’s connected to your personal account. If you signed up for your first account with an email, use a phone number for this one (or vice versa). Confirm your email address or enter the code that was sent to your phone. Create a unique username that reflects your business. Add your profile photo and bio. Now that you've created your second Instagram account, you can easily switch between the two. Just make sure you know which account you’re on before you post a photo! Tap on your username at the top of the screen (there’ll be an arrow next to it). Tap on the name of the account you want to switch to. You can have up to five accounts connected in your app. They will all show up in the dropdown menu when you tap on the username of your current account like described above. An Instagram business account comes with some great tools to help you grow your following. If you’re still unsure whether a business account is right for you, why not give it a try? You can switch back to a personal account at any time if you are unhappy with the results.